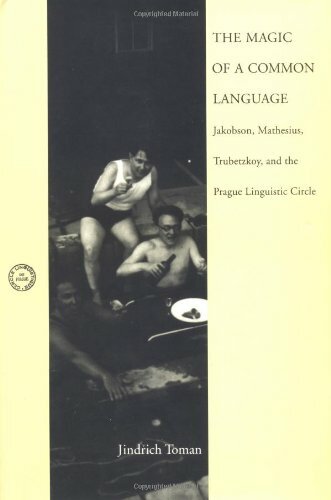 Driven by a desire to create a new basis for the study of language, a heterogeneous group of Czech, Russian, Ukrainian, and German scholars who found themselves in Prague in the mid-1920s launched the profoundly influential Prague Linguistic Circle. This book examines the historical factors that produced the Circle, the basic tenets that it promulgated, and, most important, the social and cultural environment in which the Circle flourished. The study can also be read as an interlocked series of intellectual biographies of the major figures who gave the Prague Circle its direction. The new linguistics, whose core was to be in phonology, emphasized synchronic analysis, anti-psychologism, anticausalism, the investigation of language contact, and the understanding of language as a social institution. Significantly, the Circle's theories were strongly connected to and reflected by Prague's literary and artistic avant-garde. The book is based on extensive archival research in Czech, Russian, and German sources. Jindrich Toman is especially adept at showing how characteristics of the spirit of the age, such as the ideal of collective activity, the idea of a synthesis of knowledge, and an emphasis on a socially defined commitment to scholarship, became embedded in the Prague Circle's program. Roman Jakobson is the Circle's best-known member, and it was he who broadcast its activity to a wider world, but Toman also focuses on several of Jakobson's colleagues who deserve equal appreciation, in particular the Russian prince and phonologist N. S. Trubetzkoy and the Czech professor of English and academic reformer Vilém Mathesius.